Do you plan your meals in advance or are you the queen of fridge surprise? Meal planning is a drag right..? It requires thought and effort and summoning up of meal inspiration for the week when, in reality, you don't have a clue what you'll fancy in 2 hours let alone 2 days. Well thank Goodnesss the brilliant Caroline from Hungry Little Bears is here. 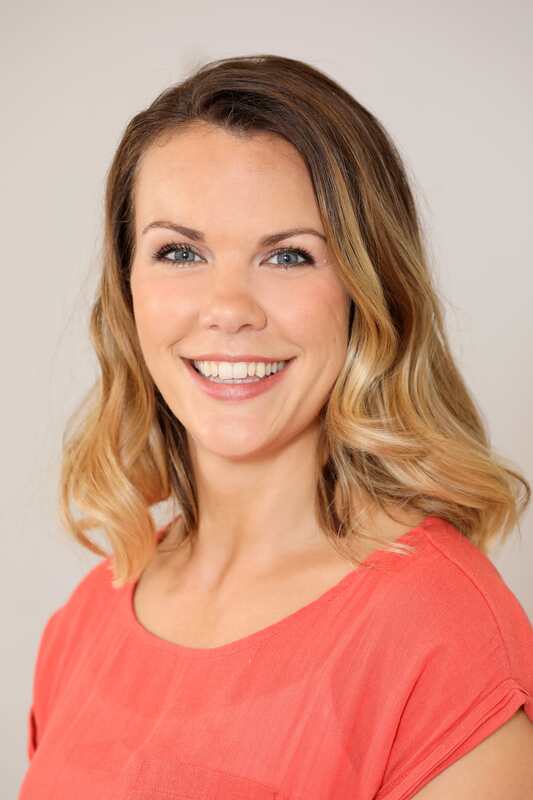 Caroline has loads of fabulous meal ideas for kids and families and I'm delighted to have teamed up with her to produce a meal planner which is not only full of delicious family friendly recipes but is also nutritionally balanced. It may not be possible to plan your meals 100% of the time, in fact, if I managed it just 50% of the time it would be a marked improvement, but putting some vague meal ideas down on paper can help to get more variety in the diet, reduce food wastage and save a few pennies along the way. And meal planning doesn't have to mean it's slow cooked pork stew or something equally intricate every night. There's nothing wrong with beans on toast for a quick dinner when you're busy juggling all life's other demands. Consider the food groups: Try to include some form of; carbohydrate, protein rich food and some veg (or fruit) at each meal. If you can get some dairy in too (either for pudding or in the main meal) you’ve got all 4 foods groups covered. Balanced diet done! Variety, variety, variety: Within each food group go for variety. Potatoes 7 ways might see you through the week but other forms of carbohydrates will offer different vitamins and minerals. The same goes for other food groups red meat, fish, chicken, beans, pulses, lentils, chickpeas - all have something different to offer your body (I explain this in more detail on the Hungry Little Bears Blog so go check it out). Going for a variety will not only avoid monotony but will also keep your body happy by providing lots of different nutrients plus it will expose the kids to lots of different foods. Include wholegrains: As a population we are not consuming enough fibre. Keep your gut happy by including plenty of wholegrain foods each week such as brown rice, wholewheat pasta, brown or multigrain bread. Wholegrain foods are perfectly suitable for children too and getting them used to these foods early on is no bad thing so don’t be put off, even if you have young children. Eat a rainbow. So much of menu planning comes back to variety. Including lots of different colours on your plate will not only make it look more attractive but will also provide lots of different vitamins and minerals. Keep it real: menu planning is supposed to make life easier. Don’t plan meals that are unrealistic and challenging. If you have days where you know you’ve got less than 5 mins to get dinner on the table, go for beans on toast with cherry tomatoes and cucumber batons. 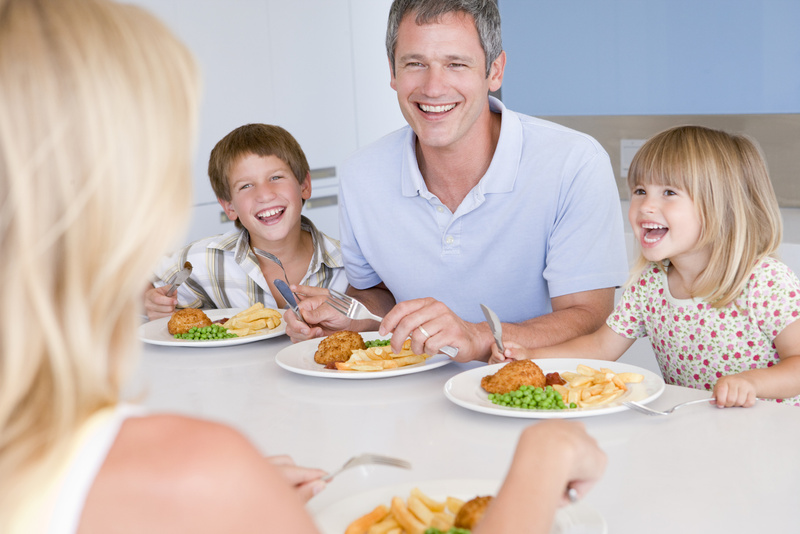 It still ticks all the above nutrition boxes and will minimise the anxiety caused by ‘hangry’ family members! 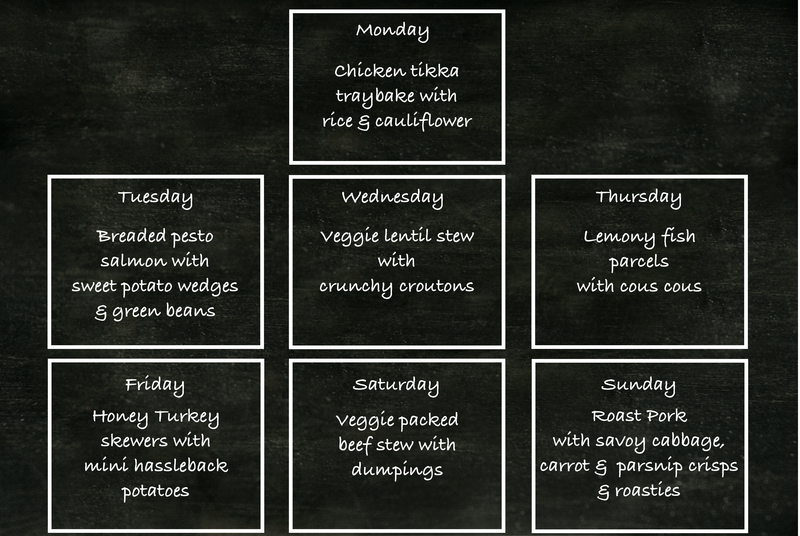 Thankfully Caroline from Hungry Little Bears has got us off to a great start with this wonderful meal planner. Do go and check out her blog for full details, recipes and shopping list and use it for your own meal inspiration or follow along as Caroline cooks each recipe. She'll be starting on Monday 22nd January and if you follow her on Instagram (@hungrylittlebears) she'll be showcasing each recipe day by day. Follow her posts and Insta-stories to discover more.